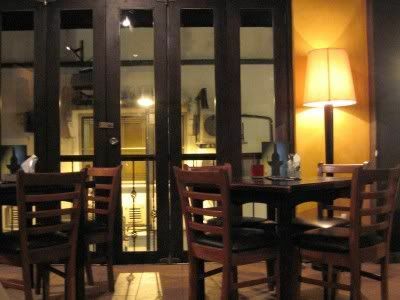 La Bodega (which means "The Winery", if you were wondering) is probably THE household name for Spanish Tapas in Malaysia. 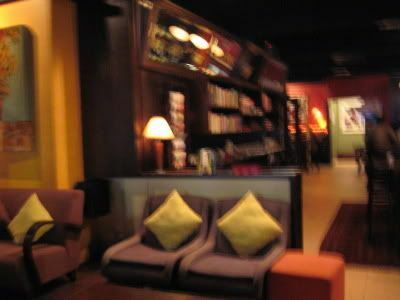 In fact, it is a veritable anchor in the ever-changing Telawi street area in Bangsar (which has seen the demise of many a bar/ restaurant over the years)... You can choose between the La Bodega Cafe, Bistro or Lounge. That night, we chose to go to the La Bodega Lounge situated upstairs. The mushrooms, that come served with bread, were lovely! - succulent without being overpowered by the rich sauce - definately something I would recommend. 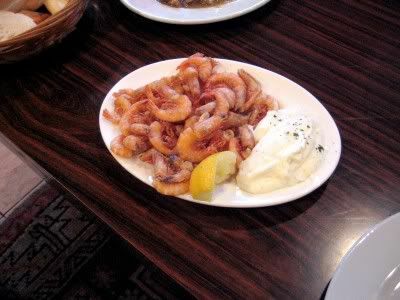 The prawns tho I would say are only so-so... They remind me of a badly done version of an Ebi Karaage - teeny prawns in batter, same kinda taste, but just not as crunchy. 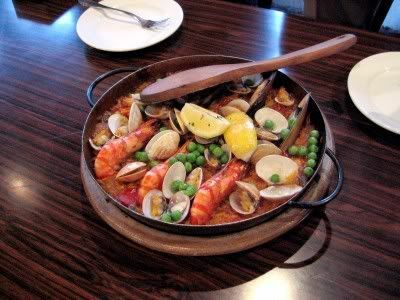 The paella (which is a fancy Spanish way of cooking rice) was moist and flavourful, with the wholesome taste of the tomato based sauce going well with the mussels, clams, squid and prawns.... Yum. Avoid the Beef Sausage unless you love paying for expensive processed meat. It's not that it tastes bad or anything... In fact, I think that the sauce is quite nice... 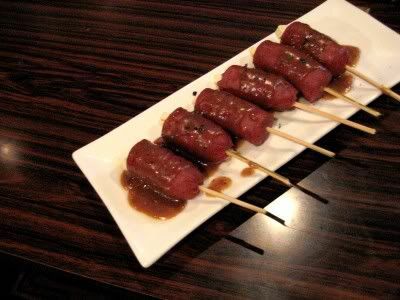 It's just that I refuse to ever pay RM18++ ever again for what is effectively 3 gourmet sausages, halved and served with some sauce. I remember a day when me and Pat couldn't manage to finish off a 2 person serving of the paella... Now, I think either one of us can easily finish it off on our own. La Bodega was busy as usual, so the service was a bit slow but thankfully, friendly.... Other than that, it was a good night: decent food (albeit a few hits and misses), decent prices and a nice place to chill out. i like the grilled sardines ..they're lightly flavoured with herbs and olive oil and the skin is slightly crispy. I love the mushrooms and they also have these lamb meatballs. How strange, I just left a comment on someone's blog abt portions shrinking in Chilis - guess it's also happening in La Bodega too. It's definately a Malaysia-wide epidemic! I really wish I came across this blog sooner. Went to La Bodega, Bangsar a few weeks back and I did order the sausages! Planning to go to the Fondue House but after reading your review - hope everything from service to food quality's improved since your post in 2005! Awww.. that's a pity man. Anyway,... if you do try out Fondue House, do come back and share your experience. It would be great to find out whether they have improved over the last year. Sounds interesting, will try it next time - thanks for sharing. I must say i need to have some great innovative movies online. I have to get some brand new ones. I really like comical, horror, along with actions and gorgeous given that they're very good. ; ) therefore mainly some good innovative dvds.